When Dave Hitz, a long-time supporter and patron of the Oregon Shakespeare Festival, proposed to OSF artistic director Bill Rauch that he would pay for the commission and development of translations of Shakespeare’s plays into contemporary modern English, we were all stunned. What was he talking about!?!?! It smacked against the grain of our belief system: while we contort productions of Shakespeare plays to provide relevance theatrically, we rarely touch the language. Oh, there are occasions to change gender pronouns, there are words that mean opposite today when they meant 400 years ago, and the plays are ALWAYS cut. Or at least that has been the practice at OSF for the past 30 years. Some quick background on where I’m coming from: My entire career has been in the world of new plays. When I entered the theater world in the early 1990’s, it coincided with the rise of the profession of dramaturg, and being a cheerleader for new works seemed to be where I belonged. Somehow, I ended up at the Oregon Shakespeare Festival. Which made me laugh. In four years of undergraduate school and eight years of graduate school, I never had a class in Shakespeare. OSF was just beginning to join the national movement to develop new works, and I was hired to be a scout and reviewer. But if you stop and think about it, the typical Shakespeare production follows an odd convention: a contemporary setting with Elizabethan language. What happens if we flip that? A contemporary language with an Elizabethan setting. What might we learn about the plays from putting them under that lens? This is essentially the exercise that I have asked 36 playwrights and 38 dramaturgs to undertake with the Play on! project. But the “rules”, such as they are, evolved slowly. The project didn’t just emerge whole cloth. There was a pilot program in which Dave Hitz supported the commission and development of five plays over a four-year period: two or three of them were to be adaptations (which Bill was initially more interested in) and two or three were to be translations (which Dave was definitely interested in). As the director of literary development and dramaturgy at the time, this project landed in my lap. I decided that we should take on the hardest part first, which were the translations. I didn’t think it would work, honestly. What exactly did Dave mean by “translation?” Surely not “word for word”? And so I approached my good friend Kenneth Cavander, whose Trojan Women OSF had produced years ago. His translation from ancient Greek to English was powerful, poetic, and visceral. And I thought, these are good qualities for investigating Shakespeare’s language. There was a long process trying to figure out which play we would take on first, and eventually we settled on Timon of Athens. Kenneth set out to work on the text in the same way he would work on a Greek tragedy: line by line, unraveling meaning, keeping the through-line of the thoughts, matching language use (iambic and rhyme) as he could, and no cutting, editing, or fixing the story. We decided that the first rule was “do no harm” and that we would keep the time period in 1600. We were creating a laboratory experiment – if everything else remained the same, what might we learn about how the language is used by concentrating only on it. The project originally was going to be named “English to English,” because I wanted people to know that I was aware that Shakespeare’s language is early modern English. And so I call our blending “contemporary modern English” to designate both a time period (‘contemporary’ versus ‘early’), as well as a formality (‘modern’ implies that to me). And besides, I wanted the writers to create a linguistic world that could contain 400 years of references because I didn’t want the language use to be reduced to our current Twitterese. The concern most often expressed was that this would “dumb down” the language, but the translators must match the poetic language as best as they can. And I encourage the translators to keep references to the gods. Comic bits that are based on contemporary Elizabethan references are another matter. I don’t know what to do with those. 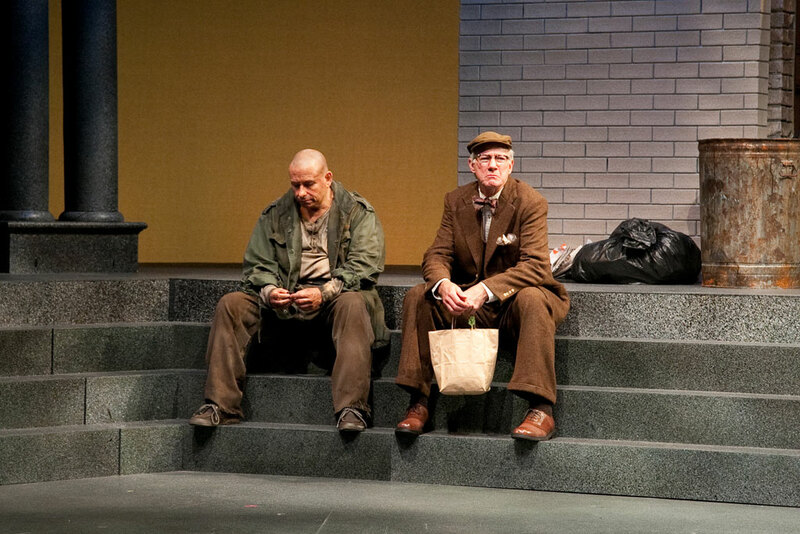 When Kenneth’s translation was eventually produced by the Alabama Shakespeare Festival in the spring of 2014, it was a revelatory experience. Because I wasn’t working so hard in the moment of hearing the play, I found myself more engaged. And it was odd not to work that hard. Could this be more in line with the experience for audiences 400 years ago? That they understood more of it in the moment of hearing it? What happens when you don’t need the footnotes to understand the play? And this is what I became obsessed with. So, shortly after the experience of watching Kenneth’s Timon in performance, I decided that I wanted to see what we might learn from the entire Shakespeare canon, and I asked Dave to support the commission and development of 39 plays. After the public announcement was made on September 30, 2015, there was certainly a lot of conversation about it, in print and online. I have discovered that few people are neutral about Shakespeare, and many people have strong reactions about it. The most often-asked question is “why.” It’s really hard to explain what it is we are doing. It’s very technical and granular. And in the back of my mind, there was definitely some doubt. I didn’t know what we would find. I just knew that it wasn’t fair to judge this before the experiment is over. I can’t stress enough that the proof of this pudding will be in the hearing of it. And when the translation really works, the audience can’t always tell the difference, even those who know the plays well. The goal of the project is not to fool some of the people some of the time, but I do find great pleasure in people’s surprise about what is Shakespeare and what isn’t. The “flapjacks” from Pericles are definitely Shakespeare’s, not Ellen McLaughlin’s. And Kenneth didn’t touch the Epilogue in The Tempest, even though audience members and actors swore that he did. 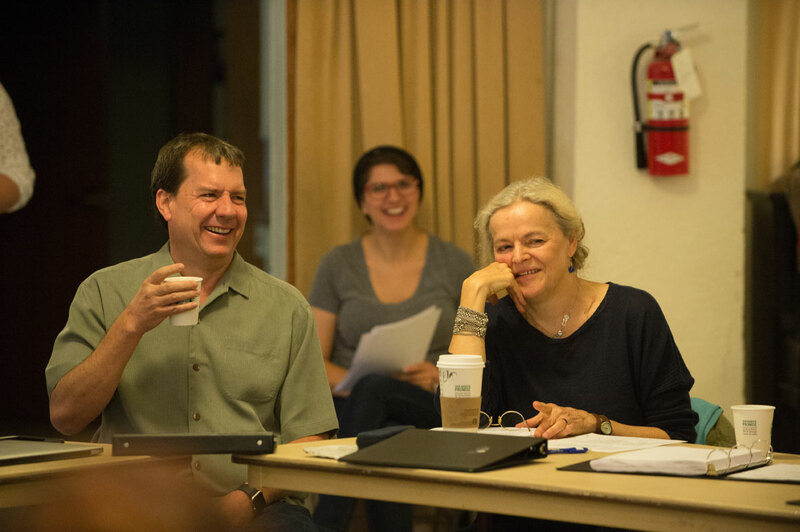 Dave Hitz and Ellen McLaughlin, Oregon Shakespeare Festival, at a reading of Pericles in October 2015. The niche I am interested in is at the sweet spot of performance – the speed of the actors delivering language and the audience receiving it. Four hundred years ago I think audiences went to “hear” a play; today we go to “see” a play. 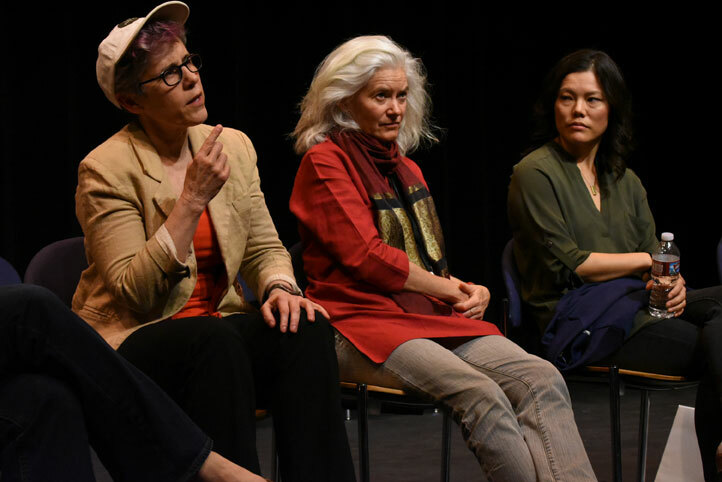 The act of creating theater is always about figuring out how to “translate” the conventions of one time period inscribed in the two-dimensional document known as a play into the three-dimensional art object known as a play in contemporary performance. This is what I mean by “translating” – carrying forward –which is the first definition in the Oxford English Dictionary; the second definition is about language. We are in the last year of the funding that supports the commission and development of the 39 translations. As of this blog, we have 15 completed drafts and 20 first drafts. ‘Completing the assignment’ means two drafts and at least one reading or workshop. And of those 15 plays, four of them have been produced, and two more will be produced in 2018. We just launched a website www.playonosf.org where there is information about the plays and the playwrights, as well as a calendar of upcoming readings, workshops, and productions. I hope that you will get a chance to hear one of these someday, and then afterwards I would love to talk with you about your experience. While I don’t think everyone will be convinced about the merit of the project, I think some people will find it more intriguing than they expected. And I’ll take that any day. Lue Morgan Douthit is the Director of Play on! at Oregon Shakespeare Festival. 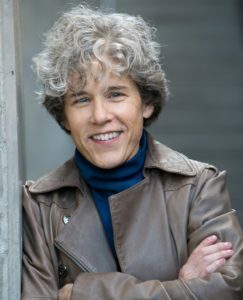 During her twenty-five seasons at OSF, Lue has been the Production Dramaturg for more than forty productions, including fourteen world premieres. She has also worked on over a dozen Shakespeare productions. She was the co-producer of the Black Swan Lab (2009) and then soon after produced Black Swan Lab (2010-2016). Lue is the recipient of the 1999 Literary Manager & Dramaturgs of the Americas (LMDA) Prize in Dramaturgy and The Elliott Hayes Award. She received her PhD at the University of Washington, her MFA from Trinity University, and her MA from University of Arizona.